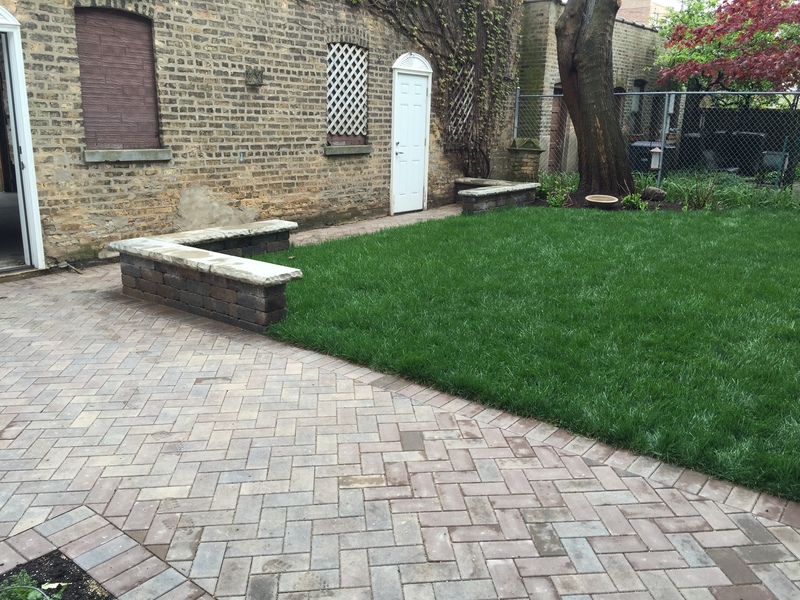 Refresh a condo building backyard with clean hardscapes, a flourishing lawn, and garden space. 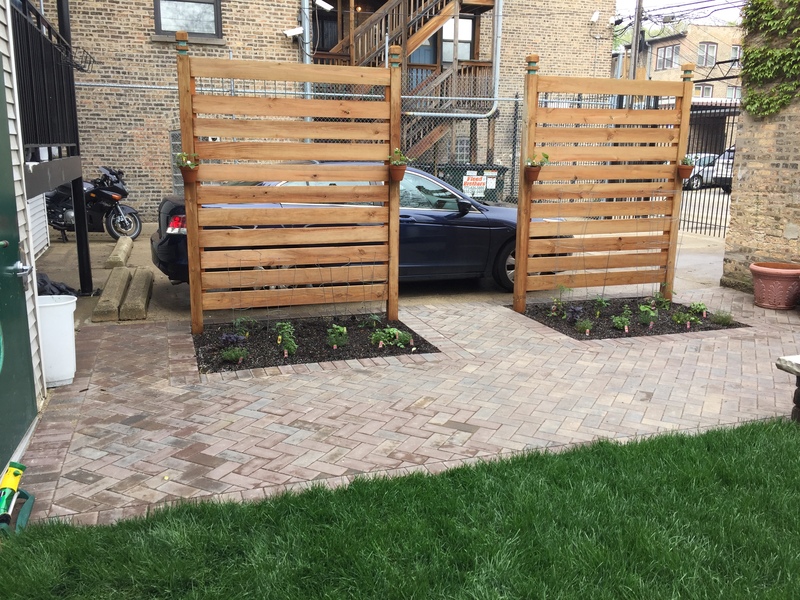 Client installed their own wooden trellis. Design by Brian Dreher.